The voice actor market is on the rise, thanks to the increased need for broadcast, animated and digital content. From e-learning courses to smartphone games, to online ads, there’s a wide range of opportunities for talented voice actors. Learning how to become a Voice Actor means understanding the voice over industry, working with a voice over coach on voice over training, getting some good voice over demos produced and a great website to show off your new voice over career. If you’re interested in becoming a professional voice actor, you may be wondering where to start — and whether this could be a rewarding career for you. Read on for our top tips to get started. 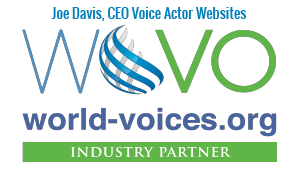 Understand the voice acting marketplace. In the past, voice actors often worked with agents, while clients had casting directors to manage the process. It’s still a great way to get work if you can sign with a good agent. But today’s online marketplace has changed the dynamic. Now, talent-seekers and producers often work directly with voice actors. This has brought more competition to the market, making quality voice actors hard to find. Invest in training. You may have tons of natural talent, but education and training will set you apart from hobbyists, introduce you to key terminology and best practices, and help you deliver the quality your clients expect. Does this program or person offer case studies, testimonials or other results? Do they specialize in the type of voice over market I’m interested in (e.g., commercials, video games, e-learning)? Is the subject matter thorough and comprehensive? Is it a mix of theory and hands-on practice? When can I expect to make my investment back? When you’re evaluating options on how to become a Voice Actor, don’t underestimate the value of getting personalized feedback from a real person. Many voice over coaches can advise you on how to read copy. They’ll pick up on things the average listener might be aware of on a subconscious level. This could be the inflection when you end a sentence, or the excitement in your voice when there should be concern. Voice over coaches can also help you connect with your target audience — for instance, an e-learning spot for seniors might need to be read at a slower pace. Get the right equipment. Do you need the highest-end studio setup? Not necessarily. But you should have the hardware and software it takes to produce clear, crisp recordings. You don’t want a hiss in your audio to take away from the character and nuance in your voice. You also need a dedicated, enclosed home studio with sufficient noise-canceling capabilities. Voice acting is not a business you can run from your kitchen table. As you get further into the field, you may want to upgrade your equipment, but make sure you’re paying for quality items that will make your job easier or help you become more marketable. Creating voice acting demos. Different genres of voice acting require different terminology, vocal characteristics, personalities and stamina. For instance, longform narration for audiobooks requires hours of recorded copy, while 30-second Pandora spots might only take an hour to record. Video game voice acting can require screaming and other sound effects, while corporate content will feel more tame and subdued. Examine the different genres and what they entail, then focus on a few to start. You’ll need a demo for each industry you want to break into, and a quality demo can cost $1,000-$4,000. 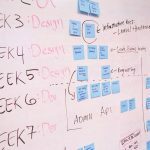 The most cost-effective approach is to pick a few genres that seem interesting and a good fit for you. Put your best face forward. If you want to be treated like a pro, you have to show up like one. In today’s competitive voice acting market, you need to convince clients that you’re the best pick. And that starts with projecting a strong, distinctive, unified image across all your client touch points. 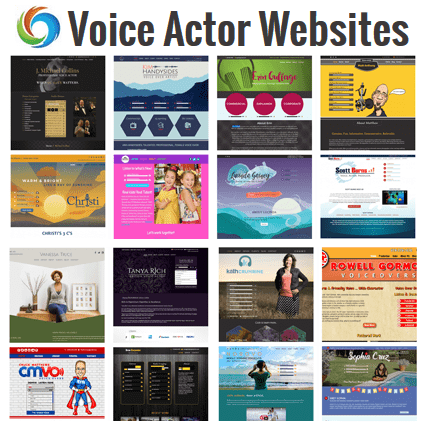 For example, many actors question why they need their own voice acting websites, when there are many platforms where they can advertise their services. But when you send potential customers to a talent platform, you’re just inviting them to compare you with thousands of competitors. By investing in your own branded website, you signal to customers that you’re not just dabbling — you’re serious about your profession. Think like a business owner. It’s true that voice acting is an art. But to succeed as a professional voice actor, you also need to treat it like a business. As a business owner, you’ll need to get involved in everything from accounting to marketing to customer service. And depending on your goals, you may need to file legal documents to incorporate your business. In order to thrive as a business owner, you’ll need to stay flexible and willing to learn new things. Keep in mind that the most successful voice actors have an entrepreneurial spirit and are self-starters. They listen to clients, adapt to meet their needs, and always look for ways to get better and learn more. The voice acting market is rapidly evolving, and the best voice actors love the challenge of staying current in the field. The bottom line: Voice acting is a dynamic, rewarding profession with a solid employment outlook. To be a successful voice actor, you’ll need to adopt a business owner’s mindset, harness your passion through training, invest in quality equipment and project a professional image. When it comes to marketing yourself online, we’re here to help with professional, customized, mobile-optimized websites for voice actors. Best of luck in your new voice acting business!